160 Imlay Street in Red Hook is racking up the sales. The conversion of the 1910 New York Dock Building has a whopping 49 units out of 70 in contract a month after its unofficial sales launch. The first listings for the six-story, AA Studio-designed project popped up in late September, as Curbed reported. The units in contract range from a 885-square-foot one-bedroom asking $862,875 to a 3,831-square-foot “built-to-suit” apartment asking $5,397,840 (you can look at the floorplan for the raw space here; presumably, the buyer will be able to customize the unit). We don’t see any listings for currently available condos. Estate Four (also known as Est4te Four, for the numerically/SEO inclined) redeveloped the previously neglected, century-old structure, which was the first reinforced steel and concrete building in the United States. 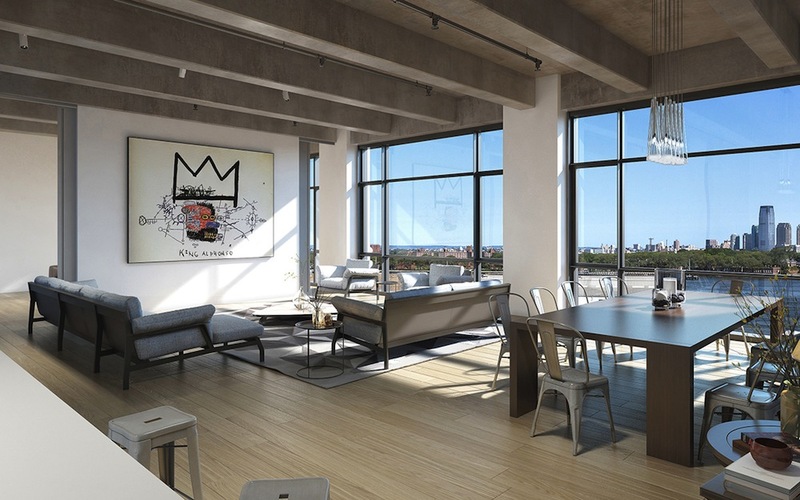 The apartments boast new floor-to-ceiling windows, ceilings 12 to 16 feet high, exposed concrete ceilings and columns, white oak wood flooring, central air, in-unit washer/dryer and Italian kitchens by Dada Molteni with Miele appliances and white matte lacquer cabinetry. The triple-pane windows are made of solid steel, with two operable panels for airflow, and every door will be finished in Italy with a lacquer aluminum color that matches the cabinet-supporting bridge in the kitchen. 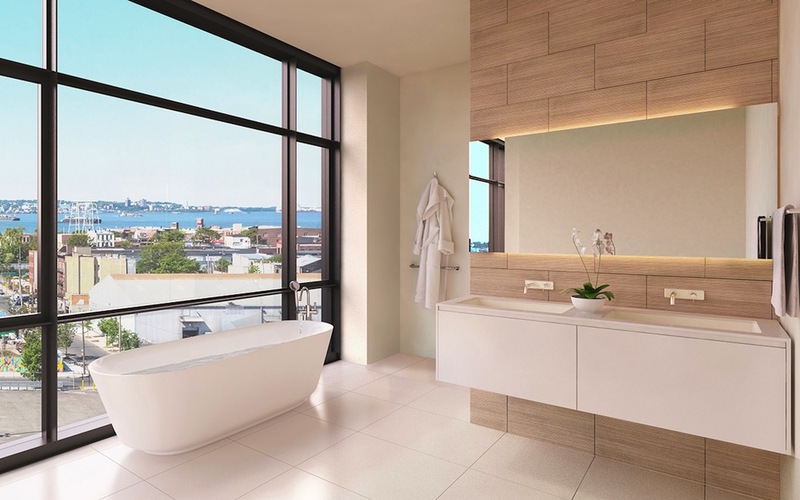 Bathrooms are wrapped with Italian stone walls, quartz tile flooring, Italian millwork, backlit mirrors and fixtures, toilets, bidets and bathtubs by Duravit. 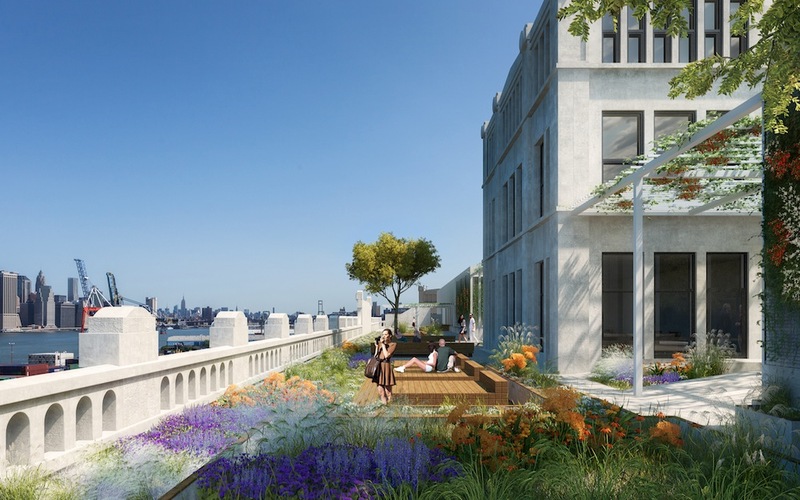 Amenities include a 24-hour doorman, gym, sauna, private storage, bicycle storage, landscaped roof deck and parking space under a vegetation-cloaked canopy. Future Green Studios did the landscape design. Douglas Elliman is handling sales at the property. Completion is anticipated for Summer 2016.